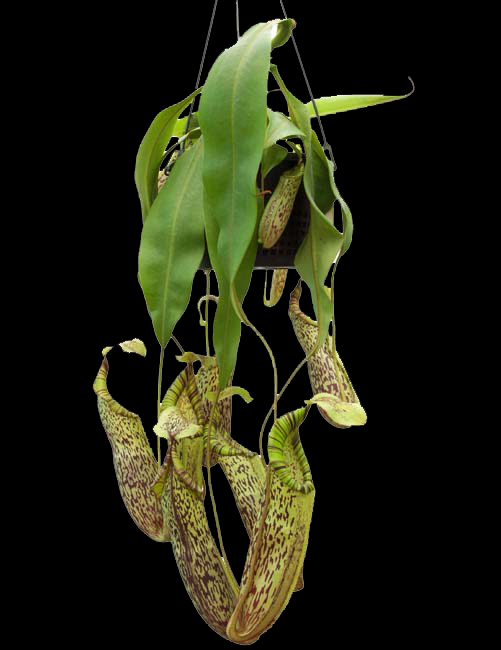 These plants have some of the most beautiful peristomes of any Nepenthes! 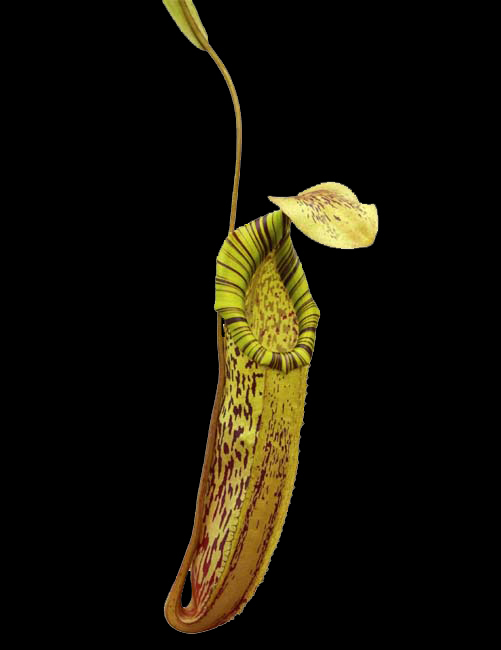 Nepenthes spectabilis is well-known for producing wide, candy-striped peristomes; and this is Borneo Exotics' extra special Giant clone. Couple this with the flat peristome of N. platychila and you have one nice hybrid plant. But wait! These are even better, as they are a single BEST CLONE of the bunch! Medium plants 3 to 6 or more inches in diameter and potted in 4-inch pots, not bareroot as you might find with other suppliers. Ready to water and enjoy!